Director-general of the APC presidential campaign organisation, Rotimi Amaechi on Thursday revealed that God told him who Nigeria’s next president will be – and it is not Jonathan. 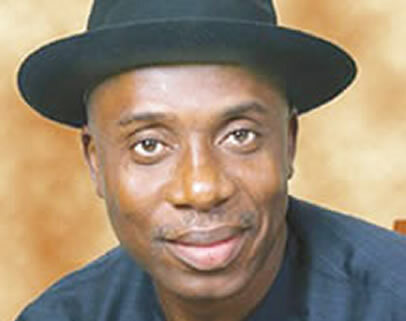 Amaechi made the revelation while speaking at the APC south-south zonal rally in Port Harcourt, The Cable reports. “God has shown us who would be president and we know that it is not Jonathan. Do you remember the Jonathan in the bible? What did he do? He betrayed his father, right? This time around, we need a man that would deliver the country for both Christians and Muslims. There will be no Christian or Muslim but a Nigerian government,” he said. The governor also criticized the federal government’s amnesty programme, stating that Buhari would not discontinue the initiative if elected, but would implement it in a manner that would benefit the people.